A world of wonder is within everyone’s reach. Through binoculars and small telescopes the Moon’s surface resolves into a remarkable collection of seas, mountains and many hundreds of craters. In a telescope as small as a 60mm refractor just about every class of lunar feature can be seen, including faults, rilles, valleys, wrinkle ridges and volcanic domes. The larger the instrument, the more fine detail will be revealed, keeping the most attentive observer occupied for hours on end. The SPA Lunar Section encourages visual lunar observation and drawing the Moon’s features… but we’re not some kind of weird nocturnal art school. 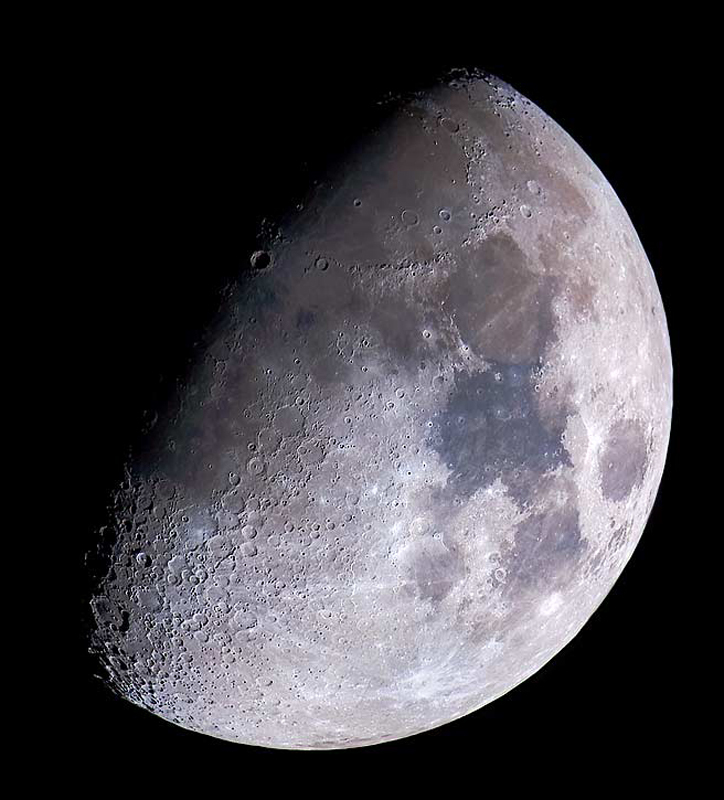 We also welcome lunar imagers of every sort — whether you like taking snapshots of the Moon through the eyepiece using your mobile phone or whether you have advanced CCD equipment and revel in obtaining close-up lunar detail. SPA Lunar Section members are welcome to pursue their own individual lunar goals and/or participate in a range of special lunar observing projects — you’ll find these listed in the Reference section tabbed above. If you’re a member of the SPA and have any questions, don’t stay on the ‘dark side’ of the Moon — go ahead and email me!